Within 12 hours of being released, Surf Dog Ricochet's book went to #46 on Amazon.com's best seller list! 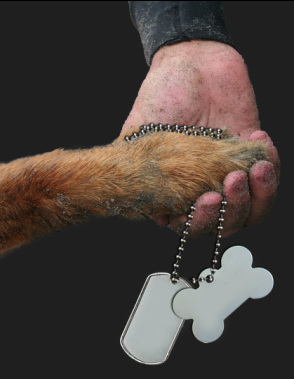 A percent of book sales will go to Surf Dog Ricochet's causes fund to help humans and animals in need. 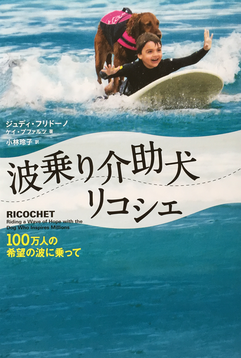 Surf Dog Ricochet in Japanese! A note from the author: From the time Ricochet's SURFice Dog® video was first shared on YouTube, I was getting phone calls and emails from writers, agents, publishers and even Simon & Shuster, asking me to write a book. Well, I'm no writer, so the answer was always "no". Besides, we're just regular ol' folk who live a quiet lifestyle. I never considered my life interesting enough for people to read about. But, Ricochet changed all that. The lessons she taught me, the purity she exposed me to, and the people we've met on this journey are definitely worth sharing. 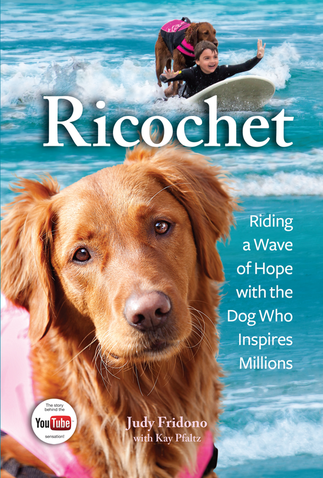 Ricochet is the only SURFice dog® in the world who chose her own purpose by unexpectedly jumping on a surfboard with 14 year old Patrick Ivison who is quadriplegic. Since then, she's been surfing with children with special needs, people with disabilities, wounded warriors, and veterans with PTSD as an assistive aid, healing hearts and souls on every wave. This tears-to-triumph story takes readers behind the internet sensation and shares the true journey that went from promise to disappointment before ultimately finding life's purpose. The gorgeous golden retriever Ricochet seemed destined to be a service dog from the moment she was born. She approached her training with boundless energy and surpassed every other dog in her Puppy Prodigy training class. Unfortunately, her love for chasing birds could prove dangerous, for those she would assist. Fifteen months into her training, Ricochet was released, leaving a frustrated owner and a dog without a direction. Yet through a twist of fate, Judy realized that flunking out of school wasn't the end of the world—and in fact, could be the beginning of a new one. Once Judy learned to let go and let Ricochet be who she really was, they found her true calling. There is no other story quite like it! AMAZON.COM BEST SELLERS RANK: #46 in ALL Books! Chief Pet Officer, Animal Fair Media, Inc. Please note, some of the videos have music, so YouTube may not allow them on mobile phones. If you're having trouble, please try to watch them on a desktop. Just click the links below to watch.